The two largest crises today — the Japanese nuclear disaster and the widening unrest in the Middle East — prove it’s time to de-fetishize energy policy. These serious problems also demonstrate why we must expand the nation’s ample oil and gas supplies — urgently. The worsening Japanese nuclear crisis means, for all intents and purposes, that atomic power is, if not dead, certainly on a respirator. 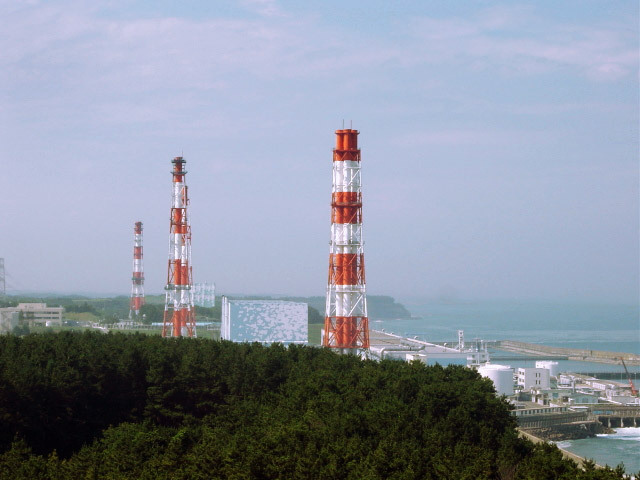 Some experts may still make the case that nuclear power remains relatively safe. Some green advocates still tout its virtues for emitting virtually no greenhouse gases. But the strongest case against nuclear power is now rooted in grave public fears about radiation. Imagine trying to site or revamp a nuclear plant today anywhere remotely close to an earthquake fault or a major city. Germany has already begun shutting down some reactors. Opposition throughout Europe and in the United States is likely to grow exponentially as Japan’s tragedy unfolds. At the best of times, nukes were a hard sell. Even with support from Energy Secretary Steven Chu, a Nobel Prize-winning physicist who talks tough about fossil fuels, the obstacles to new nuclear construction were steep. Now, no amount of Obama administration green or corporate lobbying can overcome images of horrific fires and the terror, even if exaggerated, of radiation leaks. The other shoe dropping relates to the growing chaos in the Middle East, from North Africa to the Gulf. The price of oil is likely to continue climbing, unless the world economy slides back into recession — and perhaps even then. The governments that emerge from the current Mideast upheavals are likely to be far less pliable to Western interests than the authoritarian potentates that Washington long supported. Disruptions in supply, higher energy taxes and emergent environmental movements could constrain markets for months, even years, to come. These realities upset all the “best” obsessions of our rival political classes. Much of the progressive community, for example, had embraced nuclear fuel as key to ultimately replacing fossil fuels as a source of electricity — including the long-awaited electric cars. Green advocates often overestimated the readiness of renewable fuels — still far more expensive than fossil fuels and highly dependent on subsidies. Wind power, for example, produces, at best, some 2.3 percent of the nation’s electricity. But in addition to wiping out whole flocks of birds, it receives subsidies many times higher per megawatt hour than fossil fuels. In contrast, the dirtiest fuel, coal, still produces close to 50 percent of the nation’s electricity. Meanwhile, solar panel production, touted as a wellspring of job creation, seems to be shifting inexorably to China. Algae-based biofuels and other types look promising — but could take decades to become practical. Many conservatives, on the other hand, have espoused the nuclear option — in part, because the industry has powerful corporate backing, which is always an influential factor to Republicans. But even red-state denizens are probably looking at the scenes of Fukushima with understandable horror. So if the “best” agendas of both parties are flawed, it may be time to look at the “good.” The pragmatic way out of this emerging energy mess means focusing on our increasingly abundant supplies of oil and gas. “Peak oil” enthusiasts may not have noticed, but recent discoveries and improvements in technology have greatly expanded the scope of U.S. energy resources. New finds are occurring around the world, but some of the biggest are in the United States. Shale oil deposits in the northern Great Plains, Texas, California and Colorado could yield more oil annually by 2015 than the Gulf of Mexico. Within 10 years, these finds have the potential to reduce U.S. oil imports by more than half. Even more promising, from the environmental standpoint, are huge natural gas finds. Discoveries in Texas, Arkansas and Pennsylvania could satisfy 100 years of use at current demand levels. Natural gas is already muscling out coal as the primary source for new power plants. It can also be converted into transportation fuel, particularly for buses, trucks and taxis. In terms of pollutants and greenhouse gases, natural gas is much cleaner to burn than oil and significantly more so than coal. Exploring these resources is, of course, still likely to pose considerable environmental risks. But compared with the existential threat of nuclear radiation, even potential oil spills and damage to water supplies from fracking shale might be regarded as tolerable risks for which we have considerable experience and technology managing with enhanced regulation. 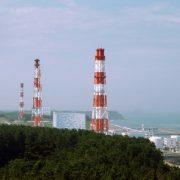 In contrast, a nuclear meltdown, such as could be happening in Japan, poses a far more immediate threat than the scenarios proposed about climate change. Similarly, ceding even more power to an increasingly unstable Middle East represents a clear threat to both our economic and military security. Focusing on near- and medium-term fossil fuel development also has the virtue of fitting into the here-and-now realities of global economic conditions — largely the growing demand for energy in developing countries — and all but guarantees long-term high prices that encourage private investors to assume the risk. The likely demise of “clean” nuclear energy, sadly, makes such bets even more appealing. Producing domestic energy also creates the potential for hundreds of thousands of new U.S. jobs — everything from engineering to high-paying blue-collar work in the fields. A new gas-led energy boom would also spark increases in demand for manufactured goods like oil rig equipment, tractors, pipelines and refineries. And those are sectors that the United States still dominates. Would we rather this economic growth take place in Iran, Saudi Arabia or, for that matter, Vladimir Putin’s Russia? The time has come for both political parties to give up their “best” energy options for the good. A green economy that produces millions of new jobs is a laudable goal. But the renewable sector cannot develop rapidly without massive expenditures of scarce public dollars. To fully develop these technologies, we need lots of money and time. Republicans, too, need to give up their “bests” — including the notion that no policy is always the best, usually a convenient cover for the narrow interests of large energy corporations. Allowing private corporations to unilaterally determine our energy policy makes little sense. After all, most of our key competitors — China, Brazil and India — approach energy not as an ideological hobby horse but as a national priority. This new energy policy can be accomplished at far lower cost than either increasing dependence or waiting for the green Godot. It could also be far less expensive in terms of our soldiers’ lives — which would otherwise be spent protecting oil rights of corrupt Middle East regimes. It’s time to demand that our deluded, and self-interested, political class develops an energy policy based not ideology but on how to best guarantee prosperity for future generations of Americans.